When I was a kid, I not only idolized Billy Dee, I wanted to be the iconic actor. His persona as a dashing casanova in films such as Lady Sing the Blues and Mahogany left an indelible impression on an adolescent like me. 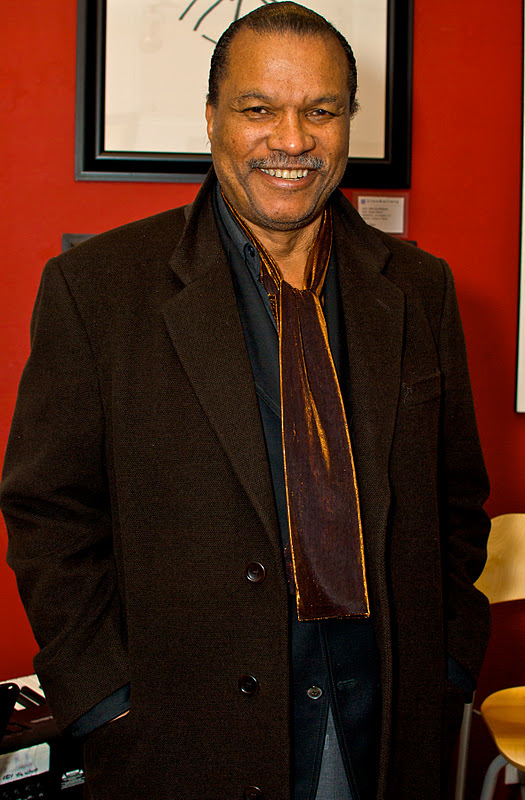 Of course, his turn as the suave Lando Calrissian in the Star Wars franchise only sealed his iconic status. This past weekend, Billy's talents as an 'abstract reality' painter were featured at Liss Gallery in Yorkville. The event drew a large crowd who were treated to his inspirational paintings as well as his mellow readings of Brian Liss' poetry set to jazz music. It was a perfect gathering to see an intimate and funny side of the multi-talented artist. And yes, I did get to personally meet my favourite actor. I'm still smiling from the experience. I also got to meet Mr.Williams. My sister Sheila - an artist - and I spent a lovely afternoon at the Dyansen Gallery on Spring Street, NYC in the early 90's viewing Mr. Williams artwork. His artwork was absolutely beautiful. We both purchased a poster "The Abstract of Reality" which he signed/To, Love Billy D. Williams. When I took it to be framed someone offered to buy it from me but i refused. It is a conversation piece and still hangs in my home.